"Before you leave the house, look in the mirror and take one thing off." I LOVE this quote! I think for some of us it is very helpful and for the rest of us, we need to put more items on before we look into the mirror. Coco Chanel wore a LOT of jewelry and she looked stunning. It is more common to think about our clothes than it is to think about the jewelry to accompany them. Every women should have a good set of pearls! They are a classic staple piece that goes with EVERYTHING and is easily layered with other necklaces. This is a nice basic necklace for work. It will go with all tops or blouses. The over sized chain adds some fun interest. This necklace looks GOOD enough to eat! I adore the colors and it would go beautifully with any solid top. Add a little edge to your office wear this summer with a funky cuff. Happy Color :) I really llike that you could split up this set, or wear them together. This is so freaking cute. AND it will go with absolutely everything your in your closet. If you have long fingers, you could get away with wearing a few chuncky rings. If you have more petite fingers, you can still rock them, just make sure the proportions of the ring doesn't overwhelm for hand. Could you imagine typing away with this bad boy on your finger?! LOVE. This ring is very classic in it's styling. If you have one like this, you will be able to wear it for years to come! 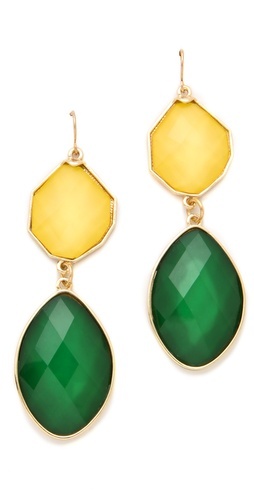 Earrings are a fun and easy way to play with jewelry. I love anything from simple to large. Just remember to apply balance. If you have a necklace on, do smaller earrings, if you have a light necklace or no necklace, you can ramp up your earring size. These are cute and little. 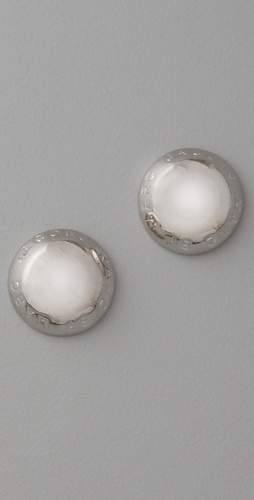 I have these in white and silver and I wear them ALL the time. 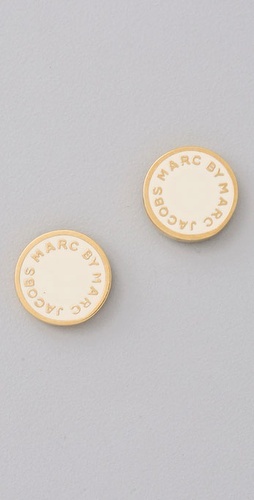 Marc Jacobs has a lot of great options for cute studs. 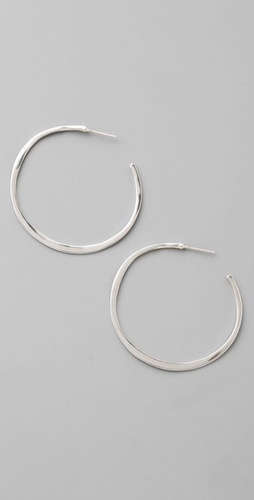 A fantastic twist on basic hoop earring. Jewelry is SUPER important from work to everyday. I hope you have fun playing around with new pieces and ideas! I am always interested in the creative ways you style yourself, so please feel free to post a photo of your look to the Love, Krystle facebook page!